Paul Pinkman Creative Design, LLC is a results-driven digital agency located in Central New Jersey. As content marketing consultants it’s our task to produce useful and compelling content that nurtures your audience. In a field of online competition, it is important to use every opportunity you have to wow your potential clients with quality material. That includes the use of blogs, social media, e-marketing, paid advertising and more. We are here to create a digital marketing experience that generates website visits and converts traffic into actionable leads. Our data-driven digital process is designed to put you several digital foot prints ahead of your competition. Is your content producing leads? Find out how to boost your conversion. Eye-catching and informational content that will get your audience excited about your brand. With the right social media, your business can build a powerful social presence that generates reactions and conversions. Is your company ready for social media? We will begin the process by identifying specific measurable social media goals for your company and creating a precise plan. Clients that are new to social media will join the most beneficial platforms for their business. You’ll become familiar with the most effective channels such as Linkedin, Twitter, Facebook, and Google+. Once you join the world of social media you’ll unlock the ability to network with experts and communities in your industry. As you start connecting to your client base through online media channels Pinkman Creative Design, LLC will create tailor-made posts, articles, blogs…etc that will encourage your followers to reach out to your business. Throughout the entire process, we will monitor key performance indicators to evaluate the success of your social media campaign as well as find areas of improvement. Communication with your existing customers and prospective clients just got easier. How do you ask? Our experts will handle everything for you. That’s right, from custom template creation to email campaign reporting we are with you through the entire process of email marketing. If you are looking for a way to retain customers, establish relationships and increase brand awareness we’ll guide you step by step. Step one includes analyzing your buyer persona to identify goals for your email marketing campaign. We’ll create a visible process for prospective clients to sign up for your newsletter in order to build an emailing list. Your subscribers will receive informative newsletters that focus on solving problems your clients are interested in. Articles include: How To, Lists, Industry News, and Case Studies. Included in each email will be actionable ways to gain leads and promote sales. Each marketing strategy is designed with ways to measure result. Google Adwords and Social media marketing are powerful tools that can be used to boost brand awareness and drive sales. Investing in PPC Ads can be a wise decision for small and mid-size businesses looking to grow brand awareness. Need help targeting your audience and maximizing ROI? Call Us! Whether you are interested in text ads or display ads our search engine marketing team has the knows how and understands the best practices to make your campaign a success. We’ll create the ads, landing pages, and extensions that show up at the top of search results. With extensive keyword research, you’ll show up for results relevant to your service industry to beat your competitors. Tracking your return on investment is an essential part of PPC advertising. Our campaign management strategy involves controlling your costs and maximizing quality clicks. How does your website measure up in organic searches compared to your competition? Studies show that when it comes to organic search results the top 3 listings receive 61 percent of clicks. By targeting keywords that are effective in your industry we are able to increase your business’ organic search positions and improve click-through rates for your website. 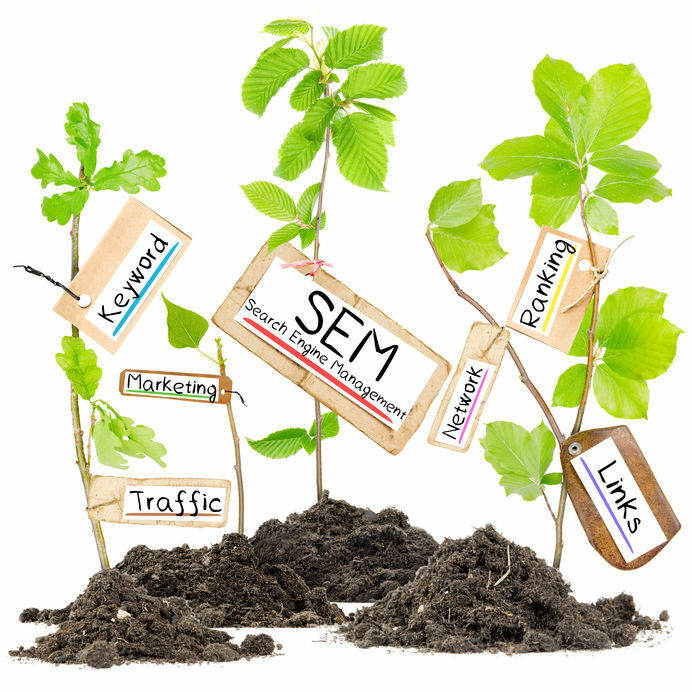 We’ll establish quality link building from reputable websites that your customers recognize. SEO can increase brand recognization, website traffic, and leads. Ready to be ahead of the competition? We’ll help you get there. Become a leading authority in your industry.